The Harrison condos are located 401 Harrison Street in the coastal town of San Francisco, California. The Harrison condo building is ideally located in the South Beach area of San Francisco and features one to two bedroom condos that range in size from 606 to 1,334 square feet of living space. This is a brand new upscale building located next door to the One Rincon Hill complex and offers wonderful Bay Bridge and downtown city skyline views. Below are the current Harrison condos for sale and for lease in San Francisco. Please contact us at 888-990-7111 with questions regarding this community and any of the homes listed for sale here. The Harrison community offers a great location with great local amenities. It's an easy commute to the 80 freeway and just minutes to the downtown Financial district. There is a total of 49 floors at the Harrison that offers wonderful panoramic views. 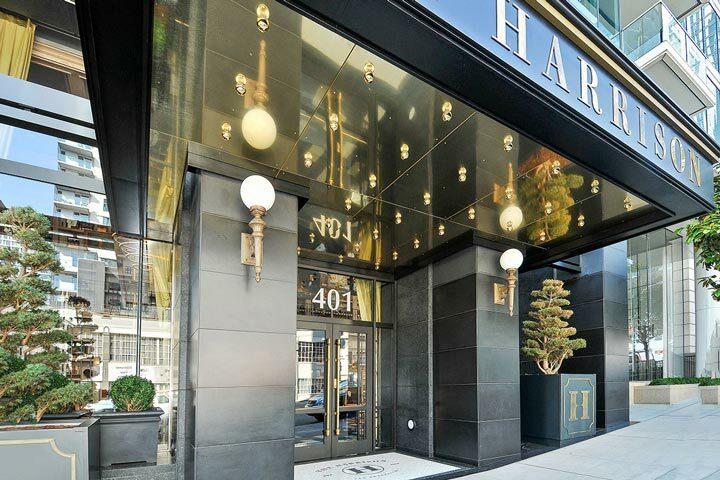 There is also a private member's lounge called Uncle Harry's for those who live at the Harrison. 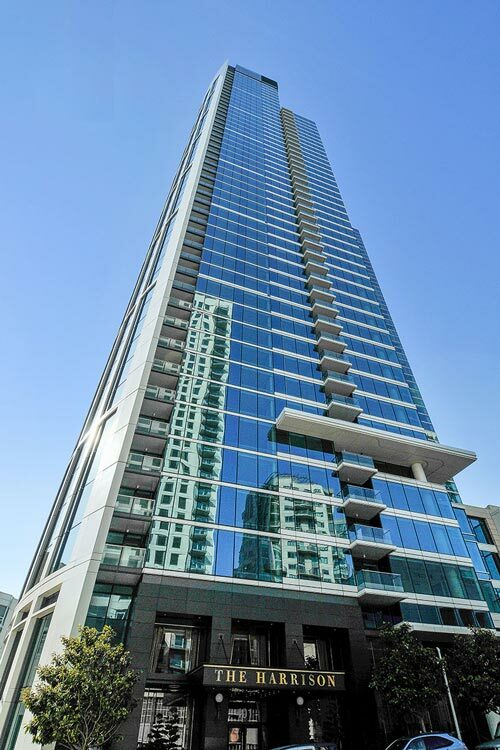 This is a great building for those looking for panoramic views in an upscale hi-rise building.